To complement the original Timeless™, we developed a new R2S™ Nano Hybrid shell which adds traction to better handle more oil, both in the heads and at the end of the pattern. In testing, we saw an increased midlane of more than 5%, meaning that it gave us predictability in the part of the lane that matters the most! And, due to the unique dynamics and characteristics of the Dual-Drive weight block, we did not sacrifice entry angle while doing so. The inception of the Dual-Drive was born of a sprawling development process that has spanned years. This could not be achieved without placing a weight block of specific size and shape inside of another weight block. The outer weight block incorporates strategically placed geometric shapes that, in conjunction with the inner weight block, establishes a new standard in bowling ball motion – faster revving action with a higher level of energy transfer at the pins. R2S Nano bridges the gap between two of Storm's primary coverstocks: R2S and NRG reactive materials. It actually created more entry angle, a key to striking even on off-pocket hits. The Storm Drive is so incredibly unique, especially for myself being a 2 handed - left hand bowler. I like the Hyroad shape as most people do but it was either not enough or too much; the Drive does what I wish the Hyroad did. I believe the Drive is the perfect ball for high rev left handed bowlers. I have thrown this ball on sport, tournament, and house conditions; this ball flat out works. I can throw it straight or loft the right gutter, and anything in between. Please keep this ball on the market! It is too unique to remove. I was looking for something a little stronger, so I bought this ball and right out of the box I fired a 237. This is the best decision I made for bowling. 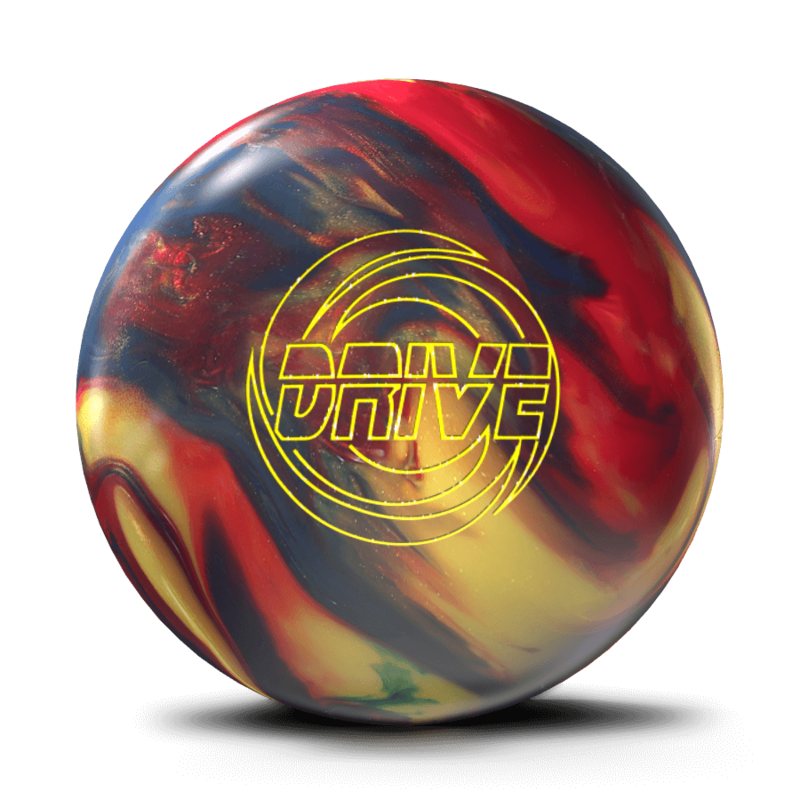 the drive is a great bowling ball overall and i highly recommend this ball. i switch to 2 hand bowling and the ball give me a good reaction on the lane in most oil conditions. i find that when the lane is more slick i dont get good reaction out of the ball but still my ave was a 160 with the pitch black but since i change to a reactive user my ave is now 190 and i have rolled over 56 200 game with it now. if your looking for a ball that will give you great results this is the one to use, even when i throw it a bit wide it still will come back and hit the pocket nicely. Took a good break from bowling for about 2 years ended with a 155 avg. In 2018, i bought the Drive avg is now 193 hitting 190-250 scores, great ball, it give great ball motion, amazing hooks even if i miss my target on the boards. It great for a fresh oil conditions, once its starts getting dry i have to move left. Best purchase i have made to improve my technique style, average, and for tournaments. Must get ball for high rev players. Great job Storm and Belmont for the ball, can wait to see what you guys have next for us. I drilled the Drive with a stacked leverage drilling to create a stronger reaction. I’ve thrown this ball on a dry condition and played deeper. Also used on much wetter conditions and squared up. This ball had a Great reaction on both conditions. I love the versatility of this ball and is usually the first ball out of my bag. I absolutely love this ball. I've never had a ball I could throw so smooth but yet so powerful into the pocket. Being a high-rev bowler this is exactly what I needed to up my Avg and throw with control. My first night of league throwing this ball I threw my first 300 game and 800 series! (279/300/227 for an 806) Great strong but very predictable motion. My first Storm ball. Need something in the higher end reactions that was symmetrical due to my rev rate. Helps me have a strong reaction, but still smooth and controllable. Very good ball! Sport Patterns get rekt by the storm drive. This thing is sick shot 258 on a sport pattern following up 700series. This ball is very good going into the pocket very well. One of the best balls for a sport pattern and any regular pattern. Just let it go slow are fast and it will hit the pocket most of the time if you throw it very slow, and it is a really good spare ball of picking up those ugly 10pins and 7pins. I would really recommend this ball. By the way this is my opinion you may have a different opinion on this ball. What I saw on the lanes: Comparing to the Timeless with used the same Dual-Drive core, the Drive with the R2S Nano Reactive cover stock proved to be what the Doctor ordered for me to like this core. The Timeless for me needed the cover tweeted for me for each lane surface I used it on. The Drive with the R2S hybrid cover helps the ball handle the oil better in the front part of the lane and also on the back side of the pattern. It’s more reliable in the mid lane area, but I did not lose the angles into the pocket. The ball was a true striking machine and to see the evidence, check out my youtube video of the Storm Drive. I love the pin action of the drive, lord knows I need all the help I can get!